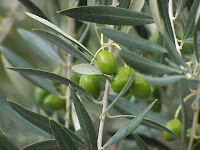 Oxidation is a process that occurs not only when olive oil is being produced, but also inside our own bodies. Reactions occur continually inside the body, giving rise to the formation of free radicals. As a rule, free radicals do not cause severe damage thanks to the protection provided by antioxidants, which help to keep a balance up to a point. If the balance is spoiled, however, “oxidative stress” occurs, leading to deterioration of normal cell functions and even cell death. Cell membranes contain a large amount of fat and cholesterol and their composition depends on diet. When the diet contains a lot of olive oil, the cells are more resistant to oxidation, they do not deteriorate as much and aging is slower. Vitamin E, carotenoids and phenolic compounds are all antioxidants whose activity has been demonstrated in the prevention of certain diseases and also of aging. The phenolic content of olive oils varies according to the climatic conditions in the producing area, when the olives are harvested and how ripe they are when picked. Oil production and storage methods also have an influence on phenolic content. Phenols have countless biological properties, which can have an anti-inflamatory, and in some cases, a strong anti-bacterial effect, in the human body. The high antioxidant content of the Mediterranean diet appears to contribute significantly to its effect on human longevity. Anti-oxidants are found in fresh fruit and vegetables. Because it is the only oil to be obtained from a fruit, olive oil retains a host of substances, antioxidants and vitamins that give it added nutritional value. The explanation behind this high content of antioxidants is probably that because the olive is a fruit that is exposed to the air, it has to defend itself from oxygen. It therefore synthesizes a larger amount of antioxidants, which pass through to the oil. Extra-virgin olive oil, i.e. olive oil that has not been refined or industrially treated, is particularly rich in these substances and has a strong antioxidant effect, protecting against damage from free radicals and against the formation of cancer. You can visit Carter & Cavero at their stores in Red Bank and Long Branch, New Jersey or shop online at www.carterandcavero.com. What is the Difference Between Extra-Virgin and Virgin Olive Oil?